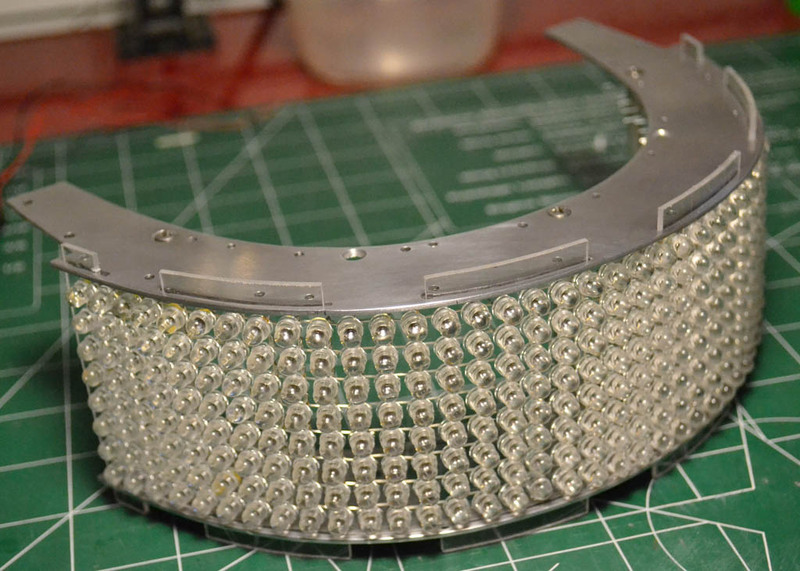 This is a stripped down version of the LED frame sold for the Thomas helmet electronics. 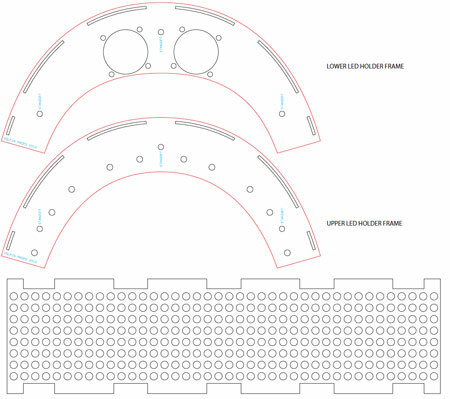 Since my frame won’t fit into all helmets from all builders, several people have asked for just the trimmed out LED panel that can be curved to fit any type of interior radius. 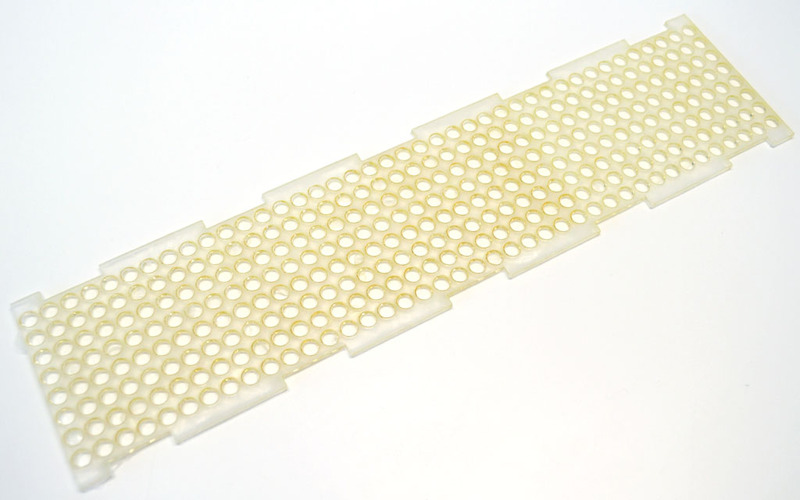 This is only the clear laser cut 1/16″ PETG panel with an 8×40 or 8×32 LED matrix arrangement set up for 5mm LEDs. Also included in this sale is a PDF file with vector line art of my sub visor frames. You can use these to create or modify your own to fit your needs. Panel will ship with protective film over the clear plastic to prevent scratches. Finished assembly shown is for example only. Please note which set up you would like in the notes section of your order. The default item will be cut as an 8×40 array. For circuit boards to drive the LED matrix array and other components of the helmet, please see the following links.